﻿ The Legend Palawan (Philippines) | FROM $54 - SAVE ON AGODA! Have a question for The Legend Palawan? 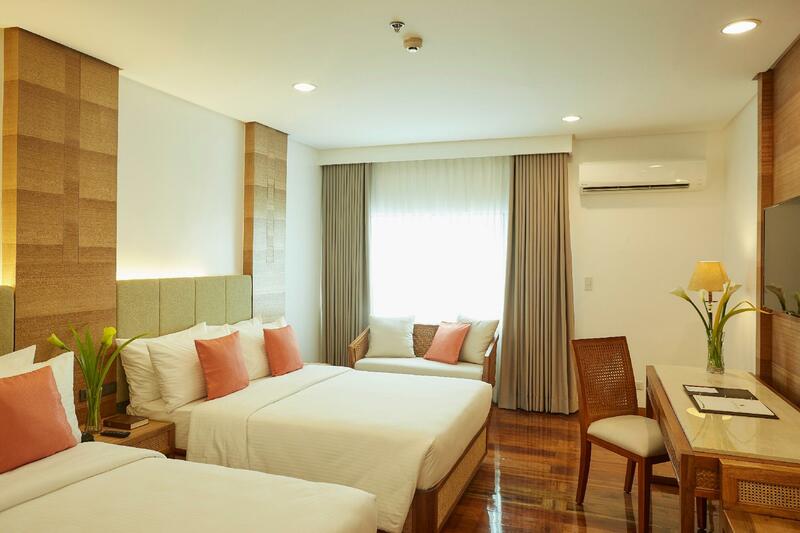 "Nice hotel for the private traveller"
"Good pool and simple breakfast buffet"
The Legend Palawan is the place to discover the beauty of Puerto Princesa City. Here, guests are given complete access to the popular destination’s bustling city center, glistening shores, turquoise reefs, and the world-famous Underground River. The 3-star hotel is close to the main road, only minutes from the city’s main commercial district. Its rooms provide a tranquil retreat after a day of exploration. Each has air conditioning, a phone, cable TV, free Wi-Fi, and a private toilet and bath. All guests are treated to round-trip airport transfers. 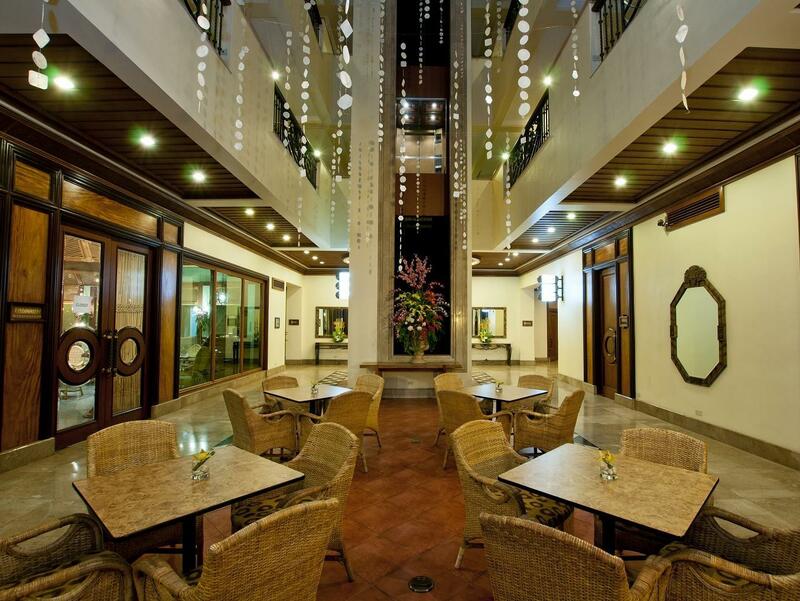 Palawan Convention Center, one of the biggest and grandest on the island, is also found here. Adding more comfort to each stay are 2 dining options, and 7 meeting rooms are also available. "Very friendly and family oriented hotel with excellent staff..."
Great hotel, everything was perfect but the staff stood out the most. I fell ill with food poisoning on the day I had to check out, and they were kind enough to let me check out several hours later to give me a little more time to recover!! Thank you sooo much. The hotel is a perfect basis for day trips around Puerto. Location is convenient, near SM Mall and the airport. 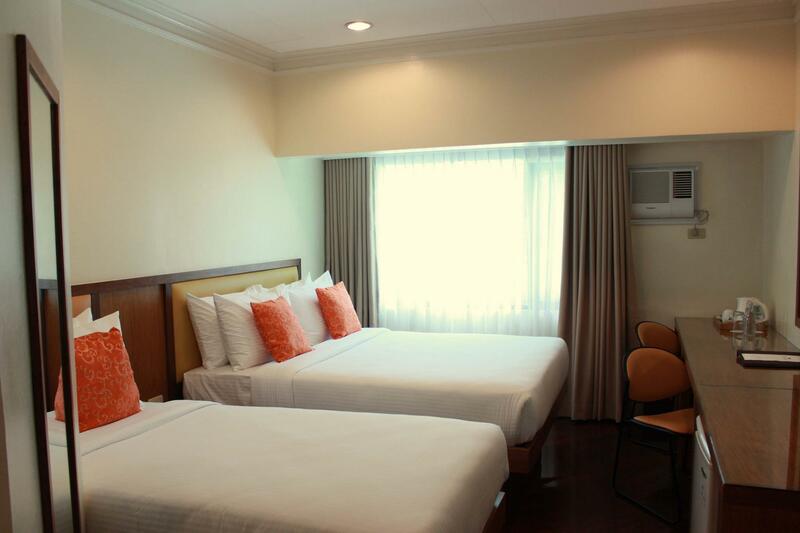 The room is spacious, with a comfortable bed and nice local furniture. I just had some problems regulating the water temperature in the shower. Staff were friendly and helpful, only the girl from the tour desk was not competent. By the way, don't book tours in advance through their main office since they are totally overpriced! Friendly staff, large clean rooms, comfortable beds and pillows. Deluxe twin rooms are larger & a bit nicer than Deluxe king rooms. Both are situated around a large atrium where people gather so can be noisy at times. Good value for money. Very close to airport.Nice room, very clean.Good wifi! Friendly staff. Pool is very tine. Breakfast and restaurant only classic Filipino food. Buffet breakfast depends if there's enough number of guests checked in. During our 2nd day stay, we were given a plated breakfast only since there's only few guests in the hotel. Free ride to the airport. Nice staff Must try the banana bread for only P170! Location - it is close to the airport, but aside from that, not much around. You can walk to the mall (SM) which is approx 15 mins away. No close coffee shop or convenience store. Rooms- we had to ask them to change our room because the first one was way too small with a small "queen bed" . Cleanliness - they do not clean the bathroom well..but the staff is nice enough that they would gladly clean it for you again if you ask Internet- this is not a business hotel...slow and unsecured internet Facilities - very basic Travel Desk-- book somewhere else..they offer expensive tours but you get the same thing. Bottomline -- we got the rooms for about 3K a night..but considering what other hotels offer for the same price..this is really not value for your money. Looking for a nuce place to stay but you’ll leave it most of the time for tours, this hotel offers a very great value for your money. All staff are very accommodating and friendly. Location is very near the airport and all destinations within the city. Buffet breakfast and newly renovated rooms. Staff was nice. Breakfast wasn't all that great. The room carpet felt dirty. Big room and shower. We were given a room facing the street so was very noisy. Asked to switch room but they said they were full. So slept with earplugs. Nice to have airport transfer. We booked two rooms and they gave us adjacent rooms. However, a part of the ceiling in the bathroom of my parents' room is not properly attached. They were transferred to a better room. In our room, water temperature in the bathroom is more hot and cannot be adjusted. Slow water flow in the sink faucet. Location is good. Easy transportation as the tricycles outside are available almost all the time. Food at the Tanglaw Restaurant is really good. All the staff were very friendly and accommodating. We booked 2 rooms to accommodate my parents' and my family and was not quite satisfied with the 2nd room given to us. We wanted to have 2 double beds per room but 1 that was given to us only had a queen size bed available. With a 15 year old and 6 year old, we didn't fit the bed so had to put my other kid in my parents' room. The wifi was not too strong, not enough to help my husband in his night shift work. Must improve. The forest view from the room was one thing that made our stay memorable. Don't get that view everyday in the city. Over-all, it was ok. Not excellent. Just ok. Disappointing. They use to have an excellent restaurant attached to the hotel- now gone! room service was ok. Front reception was vague and unattentive. Would never stay at the Legend again - very poor value for money!